ISS’ Governance Risk Report gives asset owners a clear picture of risk – including reputational risk, risk to long-term shareholder value creation, risk to the interests of a fund’s stakeholders, and risk to effective fulfillment of fiduciary obligations. Save time and resources that would be spent on collecting, aggregating, normalizing, and analyzing external manager voting data. 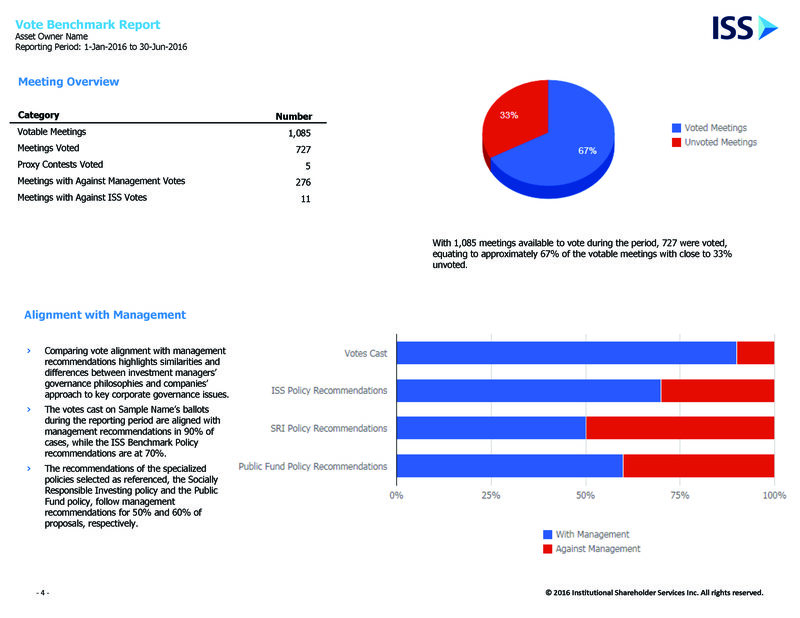 Presented in an easily-read, graphical format, the report flags key issues in external managers’ proxy voting activities. Use this insight to develop voting policies for your external managers, inform engagement with fund managers and companies, and to ultimately mitigate risk in actively and passively managed funds. 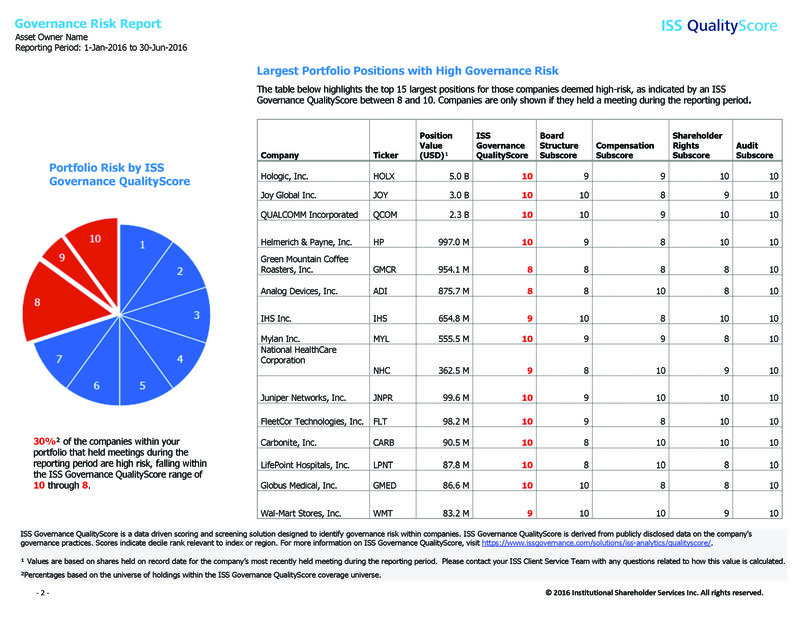 Uncover areas of risk across portfolios for companies with an ISS Governance QuickScore of 8 or higher.